Hiring remarkable employees and developing solid teams are essential steps in forming any strong business, as was discussed in parts one and two of this series. However, even the best employee groups suffer in the absence of a solid leader. Finding people with qualities to drive your organization forward begins by understanding what traits to look for. What Is a Leader to a Business? Listen thoughtfully. It’s vital for leaders to remain in touch with every level of an organization. By listening to employees and owners alike, they can understand the roots of failures and successes within the business. Be inspiring. It’s not enough to communicate a plan—inspiration to succeed must be shared and felt. A strong leader can bring employees together in pursuit of a common goal, making the company’s vision come to life. Offer discipline. By working hard, being excited, and staying motivated, a leader can teach by example. People will continue to push and grow if they feel the same drive emanating from their leadership figures. Whether cultivating leaders from within or hiring on the outside, the above qualities are essential to any organization. Without great leadership, time and resources put into hiring solid employees and building all-star teams go to waste. The ability to spot specialized leadership qualities comes with experience. When a key position must be filled in your organization, consider a recruiter with the expertise to find these future leaders. Detailed interviews with your company members and potential employees yields information that recruiters use to find the best candidates. 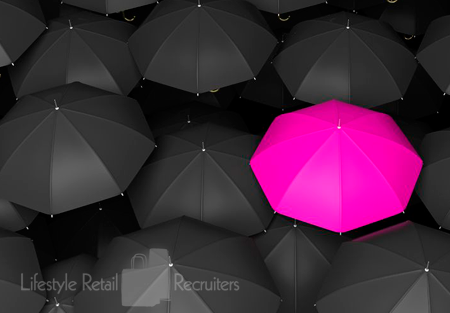 By doing the legwork for you and applying extensive experience, Lifestyle Retail Recruiters smooth out hiring processes—resulting in incredible leadership placement that fits your business needs and makes the most of your team.